Transitioning into new seasons can bring me into a state of mourning when I have to retire some of my favorite items. 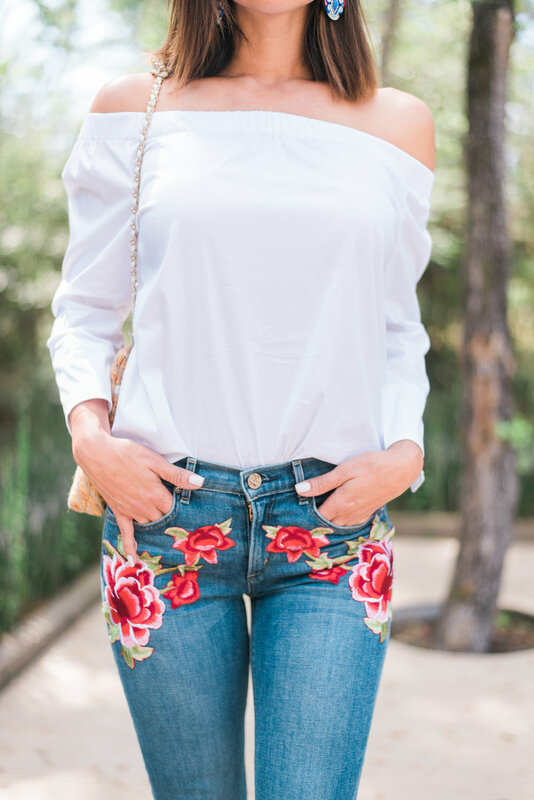 But I am sooo happy I get to bring my floral appliquéd McGuire flare denim into fall! Floral is definitely staying and stark white shoes were seen all over the streets at NYFW. Sooo happy am I! 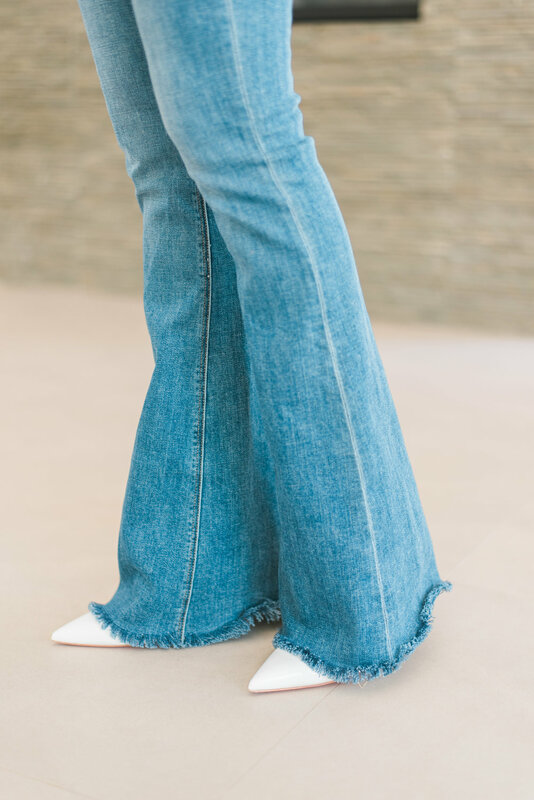 I get to bring my spring floral denim (which I designed at Cakewalk Style shop) AND my white high heels into the next season. Being in Houston and still a bit hot I chose a white off shoulder, but when the weather starts to cool off I’ll be paring the jeans with a dark denim shirt for the “denim-on-denim” look. Design your own floral denim on at Cakewalk Style Shop! Check out their denim and pick your flower power!